The Steelmen had been hoping to bounce back from last week's 6-0 loss against Hearts and show that thrashing had been nothing more than a blip but goals in either half from Jackson Irvine and Brian Graham sealed the points for the Highlanders, with Stephen Pearson netting a late goal for Well. County were forced to make a late change to their line-up after Martin Woods was injured in the warm-up.His place in the team was filled by Irvine, with Greg Morrison added to the substitutes' bench. 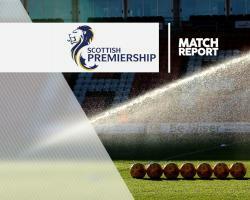 Motherwell handed a first start to Chris Cadden, while skipper Keith Lasley returned from suspension. Despite his unexpected addition to the team, it was Irvine who fired County into the lead after 20 minutes.Ian McShane whipped a long corner to the feet of the Australian and he lashed home despite Kieran Kennedy's efforts to block on the line. What had been a dull match until that point suddenly burst into life as Motherwell chased a quick equaliser. Scott McDonald's cross picked out Louis Moult and his looping header was tipped over at full-stretch by Scott Fox. Cadden stung the palms of the County goalkeeper with a powerful strike from distance moments later. Moult then teed up Cadden for the header but he was unable to keep the effort on target. Well continued to press for the leveller after the break and were unfortunate not to find the net following a lovely passing move. Marvin Johnson released Moult down the left flank and he squared into the path of McDonald but the striker stabbed just wide of the upright.